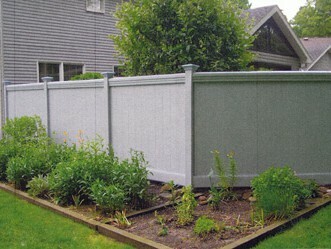 Erie Fence offers Bufftech (CertainTeed) and Country Estates (Milwaukee Plastics) vinyl fencing products. Both are produced semi locally coming from Buffalo, NY and Chester County, PA, respectively. The Country Estates products give you limited options in color and texture, becoming the more economical option, whereas Bufftech offers a wider variety of colors, textures, and styling options. Both offer various models and carry a 50 year warranty. 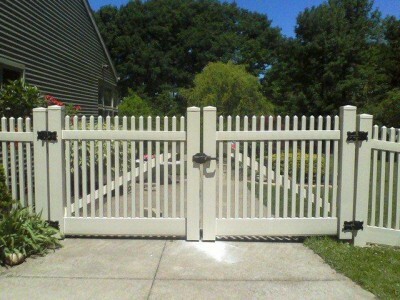 We pride ourselves in only offering the best in each line of fencing products – vinyl being no exception. 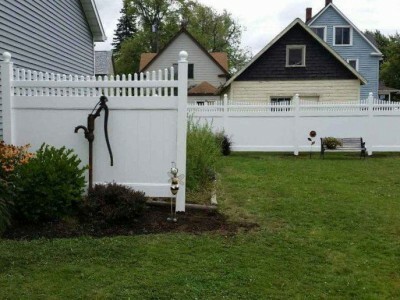 We find our products to offer better aesthetic appeal as well as structural soundness versus the flimsy vinyl fence you find at big box stores. Our products do not use brackets to hold the panel. In fact, most of our vinyl is put together on sight, with independent rails that feed into the heavy walled posts. 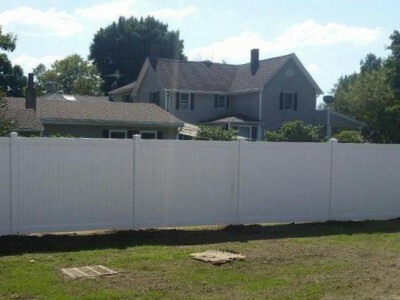 Vinyl fence offers zero maintenance and can serve any purpose you need when looking for a fence.